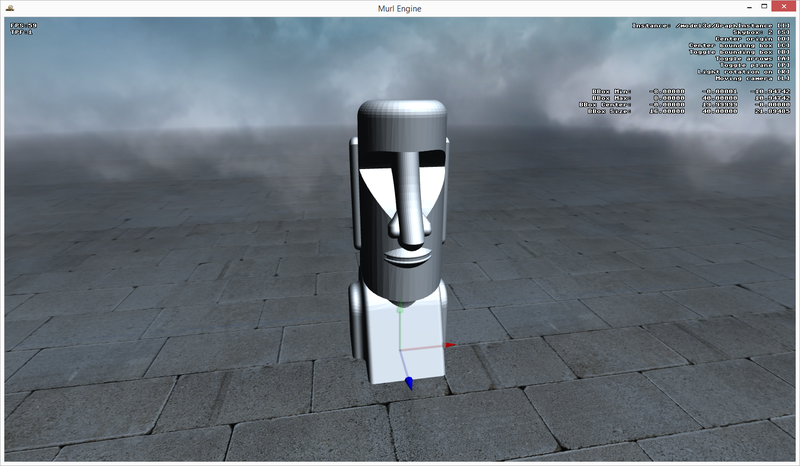 A new tutorial describing how to convert 3D models and import them into the Murl Engine is now available. You can find the Tutorial #01: Import 3D Model in chapter three of the tutorials section. Export the 3D model from your 3D modelling software. Instantiate the converted 3D model. 3D models can be created in any 3D modeling software (e.g. Blender, Cinema 4d, 3ds Max, zBrush etc.). The model then needs to be exported in a proper file format for the Scene Converter. The Scene Converter uses Assimp (Open Asset Import Library) and the Autodesk FBX SDK to read 3D model files and therefore supports many different file formats. A list with all supported Assimp file formats can be found here. We recommend using the FBX file format because it provides good flexibility and usually causes less trouble.